"This fudge is amazingly great, and made with absolutely no cooking or heating. Add chopped walnuts or almonds, or even other flavorings, if you like." Lightly grease 8x8 inch baking dish. Pour the coconut oil into a bowl, and sift in the cocoa, stirring to blend evenly. Stir in the honey, and mix until smooth. Spread mixture into prepared dish, and refrigerate at least 1 hour. Cut into 1 inch squares. 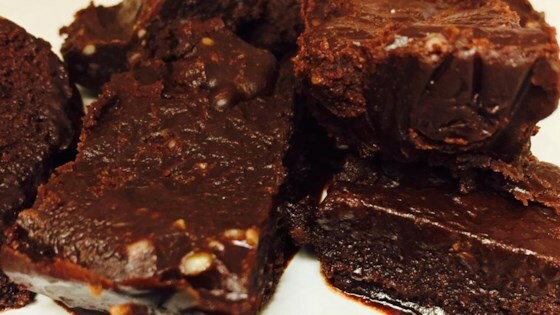 I thought that this recipe was very helpful because my family loves fudge and this is so easy to make and it was very delicious this person is a guiness.